When My Nintendo launched one of its key features was integration with Miitomo; through the social app you can earn more Platinum Points, and there are regular reward updates with outfits and virtual goodies. 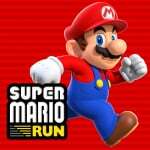 With Super Mario Run - Nintendo's second smart device app - now out on iOS, the same idea is being applied once again. So far - in the UK version at least - there are nine Super Mario Run rewards up for grabs in My Nintendo. One is completely free - My Nintendo members can unlock Toad as a playable character. 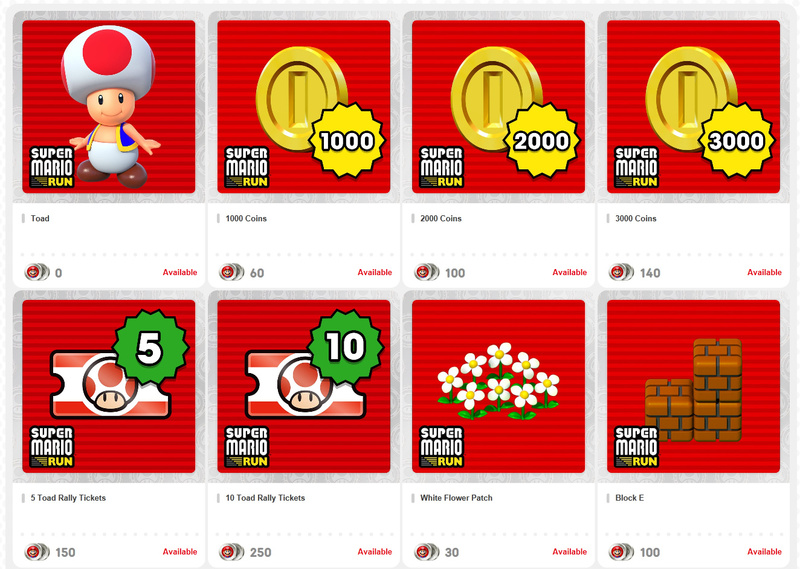 In addition to that there are batches of coins (used to buy things in the game), Toad Rally tickets, and also a few items for making your customisable Kingdom nice and pretty. The Gold Mario statue is quite something - Nintendo's mascot clearly has quite an ego. It's a similar formula so far to the rewards we've seen with Miitomo. Let us know what you think of this first batch of virtual goodies for Super Mario Run. I saw that statue and got excited that they brought back physical rewards. Silly me. I'm saving up my points for when they inevitably make an actual physical golden statue. You mean the Gold Mario amiibo? It's not a bad selection so far. However, it might be just that I am a sucker for Toad. Putting that statue as the article's thumbnail... what a nice clickbait. Ah, some things people may care about? Good old Nintendo. Now, be kind and give us physical rewards and full games again please. Meanwhile Android users are left with nothing. Now I know how Europe felt when Nintendo forgot they existed for a year. Wait, they're selling toads for nothing??? @Shard1 Toad is unlocked for free by linking your My Nintendo account with Super Mario Jump. @JHDK I was hoping "things" might mean, like, actual THINGS too. But alas. This will probably be how you get Rosalina. I'll make sure to be prepared. I'm so happy I can finally spend my coins before they expire. At least this month. Now for gold coins. Guess some of my platinum coins will be used but my gold coins are just gonna sit and expire i guess, when they'll bring back full games and physical statues are a mystery that will probably never be solved. Come on, Waluigi Run! Please! ...well,..I'm gonna melt my 340 gold coins down and make my own golden Mario, since there's nothing to spend em' on...(+ I'm android)..
@rushiosan its very clearly a digital image, not a physical image. And its for super mario run, a digital only game. Which this article is about. Sooo not at all clickbait, unless you ignored the image, the title, the caption, and just drunkenly saw the words "rewards" and decided DOES THAT MEAN I GET A FREE CAR AND A LIFE SIZE STATUE OF MARIO THAT TALKS?! I'm still waiting for the Zelda themes that NA got last week. ...At least it's somewhat less pointless and time-consuming than the golden Mario statue you get for amassing a million coins in NSMB2? Psst...Peach Run, Daisy Run, Kamek Run, 7 Koopalings Run, Isabelle Run, Shy Guy Run, Rosalina Run, etc. This makes me miss club Nintendo a lot. Even only digital rewards were better than these bad discounts or digital objects. Buying games and getting games as a reward was so satisfying. @Nintendo_Ninja New world gaming culture of people buying digital objects. Its what the new people want and actually like so you can't really blame Nintendo from following suit in a practice seen in popular third party games and beyond. Nintendo is at least making these objects free by playing the game. @Nintendo_Ninja I don't understand what you mean man... There are plenty of digital download rewards on MyNintendo (price cuts and downloadable games and content, Zelda Picross, free MK8 DLC, ...)... What's exactly your point here ? @ElGrego I think the point was that when MyNintendo started out they had full VC Games and exclusive software. Sure, they've got Twilight Princess Picross, but 9 months later and all we have is... Twilight Princess Picross. They had a download version of WarioWare Touched for 3DS when it started, why didn't they follow that route and put DS games as downloadable rewards on 3DS? The discounts today are a pittance of a difference, and with the amount of points you need to get those discounts it would be cheaper in the long run to outright buy them all at full price. My Nintendo finally puts out something decent. 20% off of Mario Bros. U just doesn't do it for me. Yes, you can unlock Yoshi to Run instead Mario. There are some unlockable characters with different specialties. This is worse then club Nintendo.these are pointless if you don't have a apple device.im about to stop buying digital and buy retail since my coins are going to expire. Sorry, didn't notice that Toad was a playable character, thought he was an ornament for the kingdom or something like that.